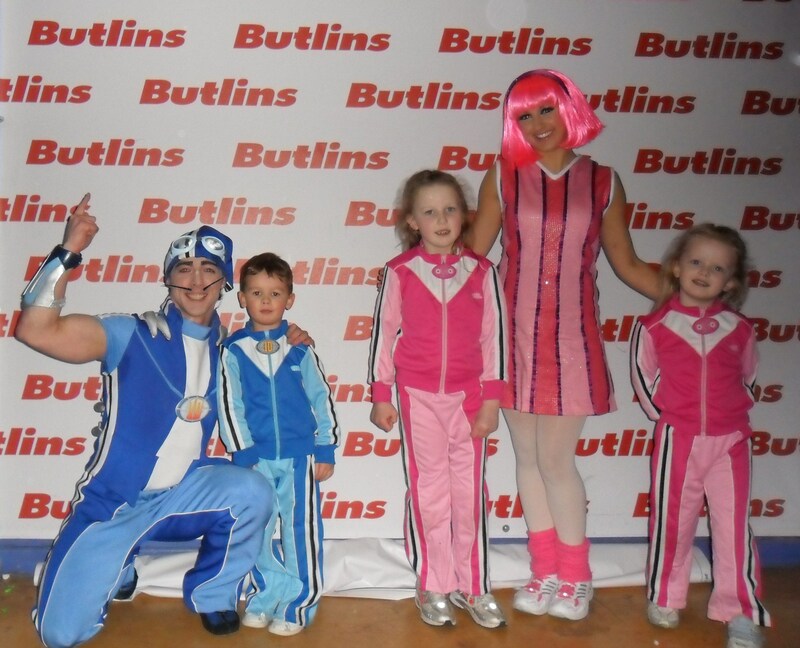 I just had to share this story with you, on sunday I visted Butlins with my hubbie and two little girls to see the new LazyTown Live Show. We were also visiting with Terese Baskett who is one of my franchisees and is located in Kent. Terese used to be a red coat at Butlins so knew the site very well and she came with her little nephews Louie and Harry. Louie was so excited about going to Butlins to see the LazyTown Live Show, and had the added a suprise of a special opportunity to meet his favourite superhero Sportacus, he has been telling all his friends at nursery how he met the real sportacus and Stephanie and they both gave him a big hi five. Louie loved the show and said he wants to be like the real sportacus and wants to learn all his superhero moves at LazyTown Sports Club. The LazyTown Live Energy Show debuts at Butlins Bognor Regis tonight.